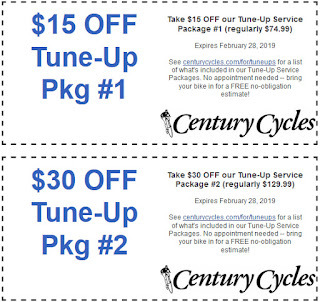 Century Cycles Blog: Show your bicycle some LOVE with a Tune-Up! Happy Valentine's Day! Show your bicycle some love and be ready when the Spring weather breaks - get a full tune-up! 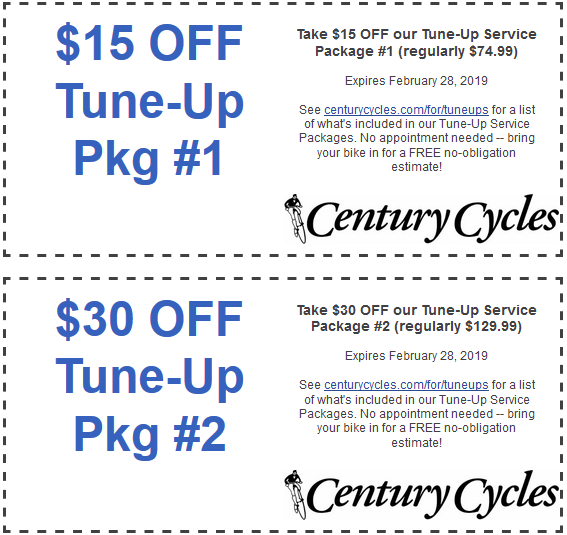 We're offering our biggest discounts EVER on bicycle tune-ups through February 28, 2019! Take $15 OFF Tune-Up Service Package #1, or $30 OFF Tune-Up Service Package #2! Plus, with our Winter Sale, you'll get 20% OFF any needed parts! 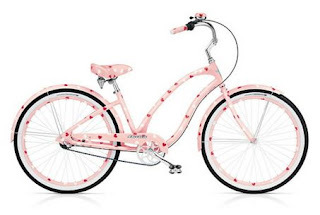 No appointment is needed; just bring your bike into your nearest Century Cycles store (Medina, Peninsula, or Rocky River), and we'll provide a free estimate of the required cost and time. See centurycycles.com/for/tuneups for a description of what's included in each Tune-Up Service Package.